2018 was an excellent year for SKF, with record results and a significantly strengthened balance sheet. The new logistics centre has been designed with the ambition of achieving a high LEED rating, showing our continued commitment to reducing the environmental impact of our operations. Having successfully developed this as a stand-alone entity, it will now have an ownership structure that is able to invest in its continued development. The transaction also represents value for us and our shareholders by strengthening our balance sheet and focusing our product portfolio. Our record start to 2018 has continued. Sales grew by 9% organically, to SEK 22.6 billion and our operating profit was SEK 2,925 million. 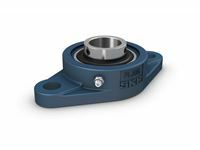 It’s a win-win where SKF helps us with their resources, and we come as close as possible to trouble-free operation. 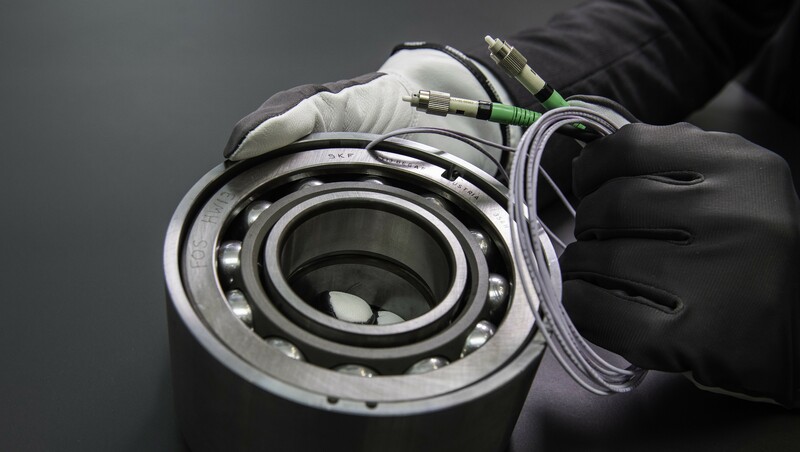 Fiber optic sensing technology is an exciting opportunity, as it enables bearings to become process and quality control instruments. We have worked for some time to develop these sensors and by taking the next step together, we will be able to speed up the process of integrating these into customer applications. 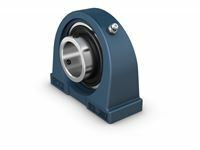 Wheelset bearings are critical components for any rolling stock operator. Together with SKF we seek to move the industry toward the objective of one hundred-percent availability with safe, efficient service. With Railigent, Siemens offers a powerful platform for a multitude of digital services. 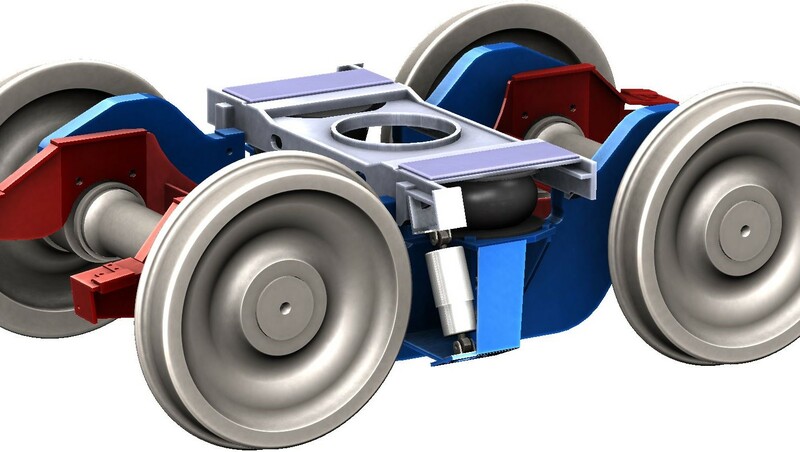 In particular, the system simplifies data access, enabling operators to gather essential data about the condition of their rolling stock components from a single access point. 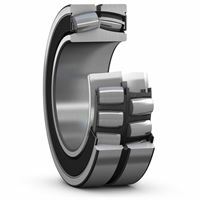 No other test center is capable of testing large-size bearings this accurately, under actual operating conditions, giving us and our customers a significant strategic advantage. Imagine having access to an SKF application engineer or service technician on-demand, in real-time. 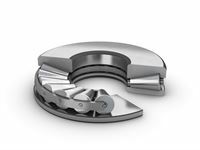 If you are in a paper or steel mill close to an SKF Solution Factory, that’s not a problem. But the majority of our customers are based in remote locations. Our goal is to give them the same – or even better – access to our expertise, on-demand. The biggest challenge when using data to smarten up your equipment maintenance routines, is getting that data in the first place. The QuickCollect sensor and apps make this task not only easier but also cheaper than ever before. 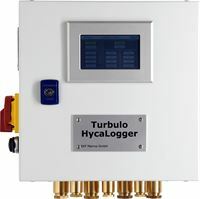 This entry-level machine monitoring system doesn’t require lots of training or skilled vibration analysts; it gives you on-the-spot indication of machine health, automated diagnostics, plus the ability to connect to expert help when problems are identified. 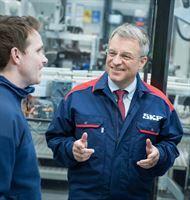 The creation of this European Centre will allow us to respond even faster to meet the expectations and needs of our customers in Europe, the Middle East and Africa, and ensure that we can respond quickly to developments within those markets. At Saint-Cyr-sur-Loire we have now concentrated unrivalled levels of expertise and competence in the automotive aftermarket segment. The number of potential data collection points in a modern factory is increasing exponentially, but this data will only generate value for operators if it is analysed and acted upon to improve a machine’s performance and profitability. Our collaboration with Honeywell will make this possible. Leveraging the IIoT gives manufacturers real-time access to operating information from an incrementally larger data-set across not only one site or plant, but across an entire enterprise. By creating an ecosystem of software and hardware manufacturers with unmatched domain experience, we will be able to better understand the risks and demands on the operating units and ultimately provide a higher level outcome for our customers. The number of potential data collection points in a modern factory is increasing exponentially, but this data will only generate value for operators if it is analysed and acted upon to improve a machine’s performance and profitability. We are honoured to receive this award and are thrilled to see that our efforts to provide an outstanding service throughout, from application design and specification support to the successful and rapid delivery of exceptional products, are helping TSA to grow its business. 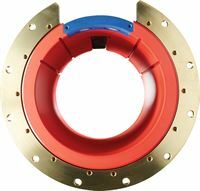 In particular, we are pleased to have been instrumental from the very start of TSA’s pioneering work in adopting the use of hybrid bearings to overcome the problems caused by electricity in railway applications and are proud to have helped the firm lead where others are now following. 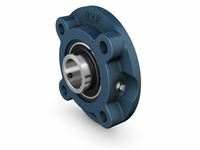 SKF has been involved in our key projects from conception to fulfilment, and has provided exceptional technical expertise and high performance bearings solutions worthy of the Best Supplier of the Year title. The company has worked with us to offer excellent development assistance, customer support, cost effective products and fast turnaround times and we will continue to build on this relationship to consistently deliver a top rate service to our customers throughout the rail industry. Enlight Centre is unlike anything else on market. 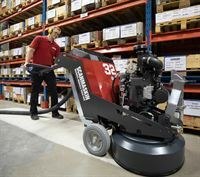 Easy to use and easily tailored to match the user's specific requirements, it serves the capabilities of personnel on every level - from chief engineer to equipment operator, and offers a great way to teach 'work optimisation' techniques to less experienced staff. 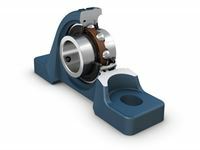 The SKF ConRo units have helped us to cut unplanned down-time and reduce production costs. The availability of the remanufacturing program has extended those benefits, allowing us further reduce the overall operating cost of our machine. SKF has a clear and dedicated focus to support GM’s vision to earn customers for life. As a strategic partner with GM, we are proud to contribute to this highest level of engineering and performance in the advanced chassis of the Cadillac CT6. Scania and SKF have a long history of collaboration and putting the drivers’ needs in focus. We are able to provide Rolls-Royce with the long-term capacity, security of supply and commitment to invest in product development that meet their needs. 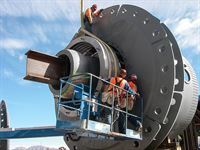 The renewal of such a significant contract is an illustration of our ability to generate value for original equipment manufacturers by offering solutions that contribute to an overall improved life-cycle cost efficiency. This is a significant step in our efforts to focus on our core bearing business, a process which has been on-going for the past 12 months. Our commitment to adopting a design-to-cost approach in our product development also supports Valmet in maximising the efficiency of their own investments in technology development. We recognize our responsibility to significantly improve energy performance, which is motivated both from an environmental and a cost perspective. The new ISO 50001 standard helps us to address this in a structured, systematic and consistent way. Demand was in line with our expectations for the quarter with growth, in volume terms, just under 2%. Our industrial business gained some momentum while, as expected, the automotive business slowed somewhat. Geographically, Asia once again had the strongest growth and North and Latin America developed well, while Europe remained relatively unchanged. Sunny Chan, SKF’s Head of Renewable Energy in China. 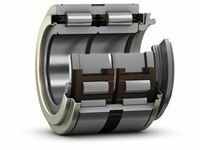 The spherical roller bearing, that helps engineers accommodate heavy radial and axial loads in applications prone to misalignment or shaft deflections, celebrates its 100th birthday this year thanks to SKF.Gothenburg, Sweden, 16 April 2019: Originally developed in 1919 by an SKF engineer, Arvid Palmgren, the spherical roller bearing (SRB) has since made its mark worldwide. 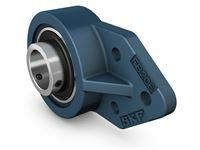 Created to complement the self-aligning ball bearing, due to its ability to accommodate misalignment under heavy loads, the initial SKF design has now become part of the largest family of products in the industry. Previously announced divestment results in a net gain of SEK 1.2 billion. 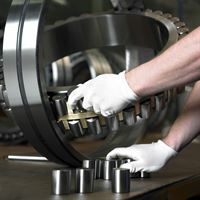 Unrelated to the divestment, impairments of assets and customer settlement costs totalling approximately SEK 300 million to impact operating result in Q4 2018.Gothenburg, 3 December 2018: SKF has completed the previously announced divestment of its linear and actuation technology business to Triton. The total consideration of the divestment is SEK 2.75 billion on a cash- and debt-free basis. The closing of the divestment will have a positive effect on the operating result for Q4 2018 of SEK 1.2 billion.